This post is sponsored by Peroni Nastro Azzurro. After a successful 6 week showcase of Italian style, The House of Peroni wrapped up its ‘For The Love of Italy’ Amare l’Italia residency in London back in June. 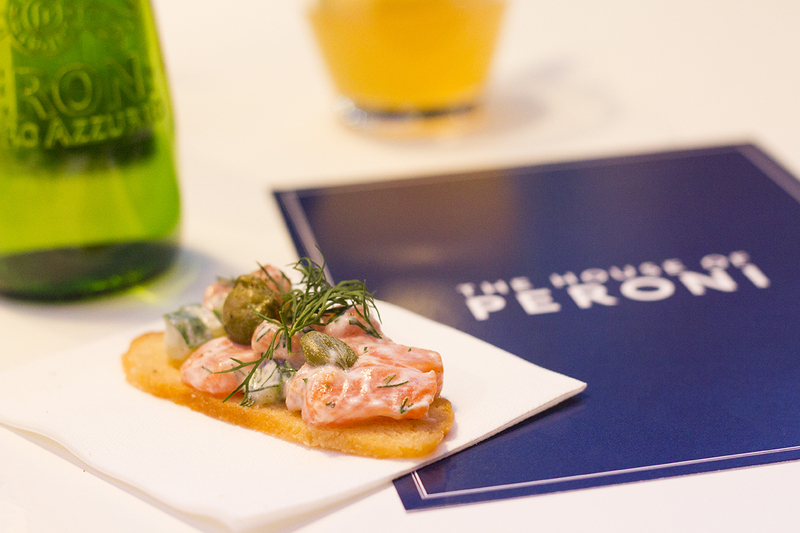 Thankfully, for the people of Manchester and the rest of the country, The House of Peroni is continuing its celebration of Italy with even more food & drink pop-ups across the country. 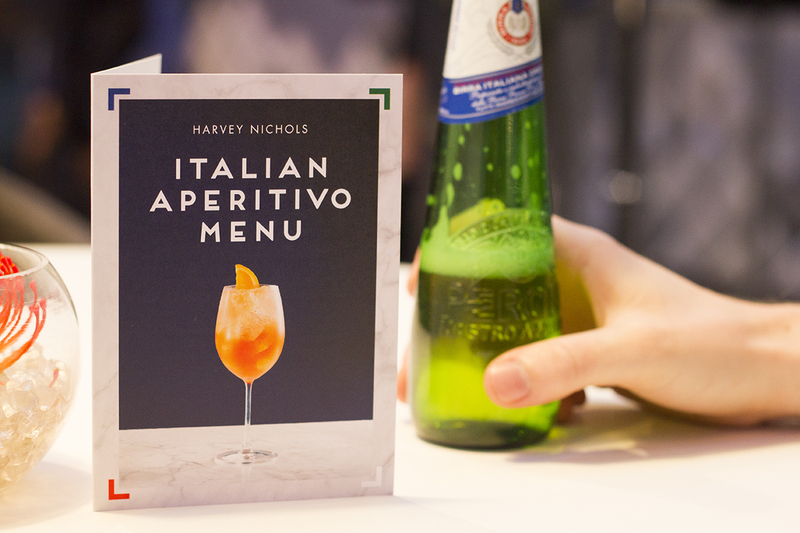 To introduce their Amare l’Italia pop-up in Harvey Nichols Manchester (9th-13th November), The House of Peroni invited Mat & I along to sample some amazing Peroni Nastro Azzurro Negroni cocktails and canapes inspired by Italy. I’ve never even tried a Negroni one way, never mind five ways, so it seemed like the perfect way to unwind after a long day at work! Plus, the food at the Second Floor Restaurant in Harvey Nichols is always stunning. It’s most certainly a hidden gem of Manchester. 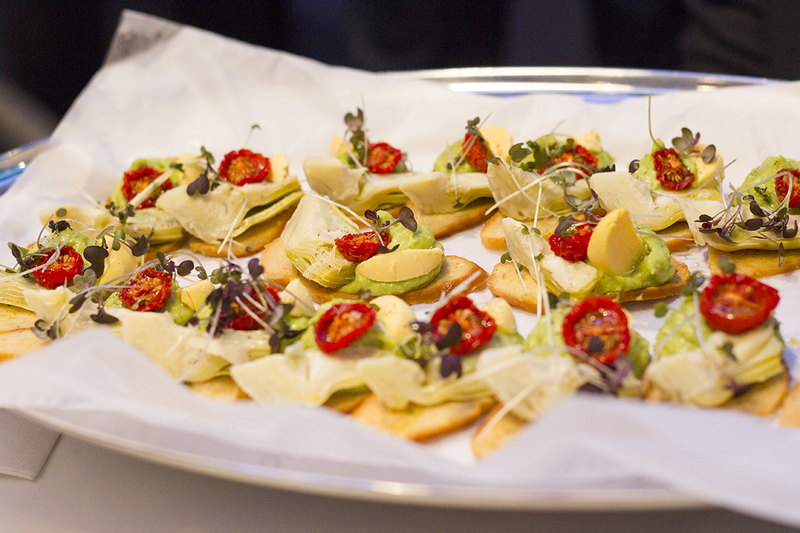 This was by far my favourite canape! Despite raw beef always looking a little odd to eat, the Black Angus beef was such great quality that it tasted amazing. I loved the addition of a salty anchovy too. 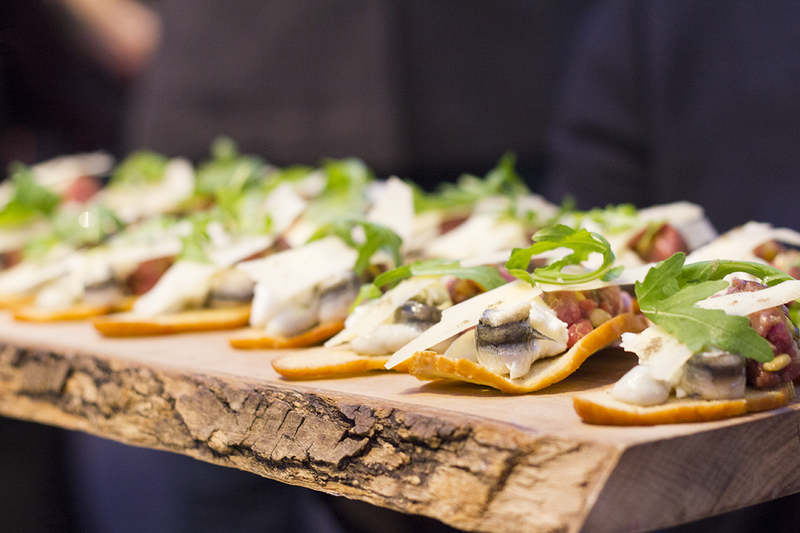 Served on crisp Italian bread, this canape was delightfully refreshing. Fresh salmon is one of my favourite things to eat and the creamy yoghurt, dill & cucumber dressing complemented it perfectly. I’m not a huge artichoke fan but this one surprised me. The sundried tomato gave it a classic Italian flavour and who doesn’t love avocado mousse? After wolfing down the most beautiful Italian canapes, Peroni Nastro Azzurro’s Master of Mixology, Simone Caporale, introduced us to the Negroni. The Negroni Classico was first up, with sweet vermouth and bitter notes. It’s quite an acquired taste, especially if you’re used to sweeter cocktails but after a few sips we were pretty much converted! Simone wasn’t content with simply showing us the classic recipe though. He crafted four more twists on the classic Italian cocktail, creating a slightly different cocktail each time and ensuring there was at least one Negroni that everyone enjoyed. Some were sweet, some were bitter and some were dry. My favourite had to be the Negroni Bianco though, which Simone whipped up for me to enjoy, and Mat loved the simplicity of the Classico. He also talked us through the art of aperitivo, which I always find fascinating. For Italians, aperitivo is those few hours after work where you can relax with friends while having a few drinks and nibbles. Something we probably all do, but of course the Italians have improved upon our beer & pork scratchings and made it all about quality cocktails and platters of beautiful Italian food (think bruschetta, olives, cured meats and cheeses). We can definitely learn a lot from the Italians! 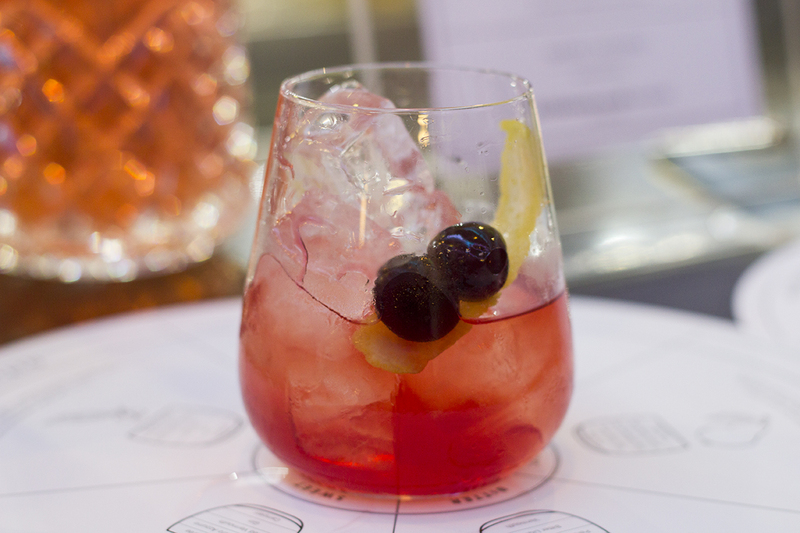 Fancy making your very own authentic Italian cocktail, with a crisp Peroni twist? 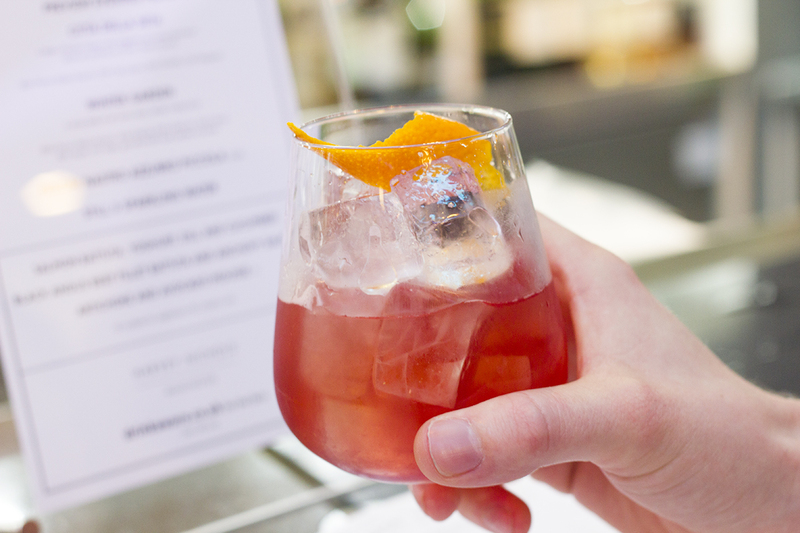 Follow their recipe below for the perfect Negroni at home! – In a mixing glass, pour all three liqueur ingredients over ice until blended together. – Strain into a rocks glass over ice and top up with the Peroni Nastro Azzurro. – Garnish with an orange peel twist. – Sit back and enjoy with your favourite Italian nibbles! 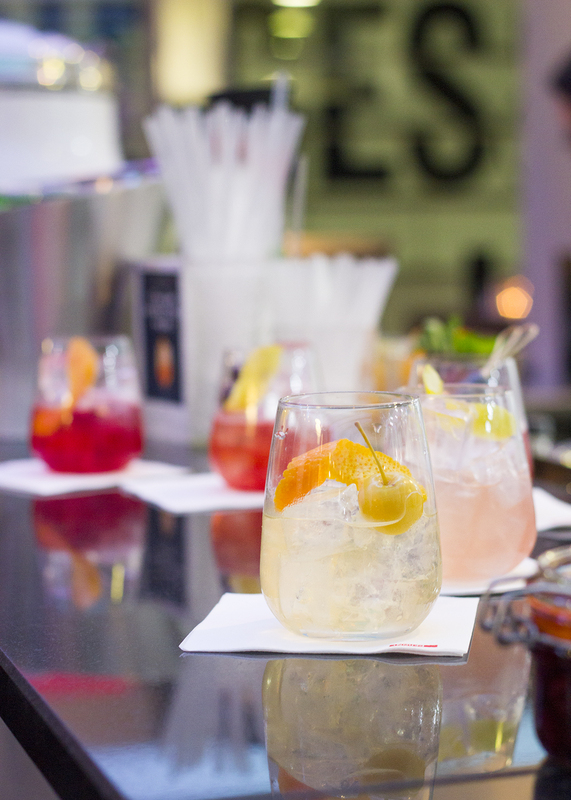 The good news is that you can book on to your very own Negroni experience with The House of Peroni at Harvey Nichols Manchester in November, as well as a range of other food & drink experiences. You will get to enjoy a tasting menu of five Negroni cocktails, inspired by Master of Mixology Simone Caporale’s original creations. 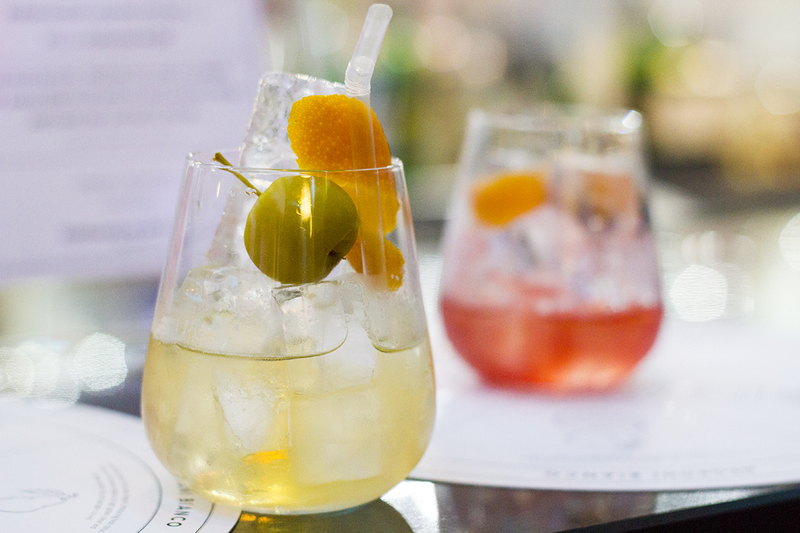 After being introduced to the Negronis, you will be able to choose your favourite to sip in the bar area, along with a selection of tasty Italian bites to enjoy your aperitivo in true Italian style. Call 0161 828 8898, email secondfloor.reservations@harveynichols.com or enquire in-store. Have you ever tried a Negroni cocktail? What do you think of them?